Trump says Iran deal is "one of the worst I've ever seen" and should not have been made. U.S. President Donald Trump on Thursday slammed Iran for violating "the spirit" of the nuclear deal it signed with world powers in 2015. "The Iran deal is one of the worst deals I've ever seen, certainly at a minimum the spirit of the deal is atrociously kept," Trump said aboard Air Force One, according to AFP. "The Iran deal is not a fair deal to this country. It's a deal that should not have ever been made," he added. 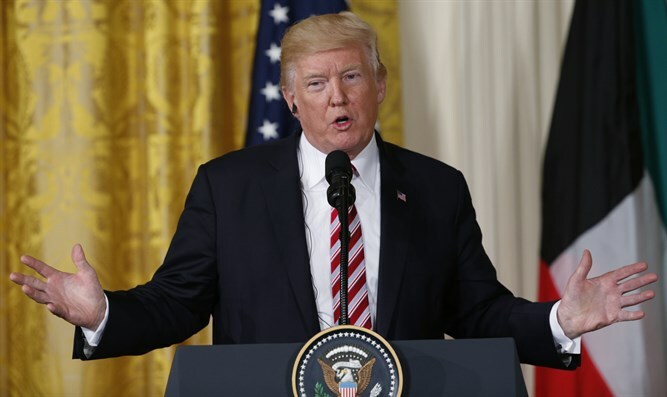 Trump has long been a vocal critic of the Iran nuclear deal, which was signed during the term of the Obama administration, describing it as “the worst deal I’ve ever seen negotiated”. Earlier on Thursday, the United States agreed to continue for now to exempt Iran from nuclear-related sanctions but slapped new measures against targets accused of cyber attacks or fomenting militancy. "We are not going to stand what they are doing with our country. They've violated so many different elements and they've also violated the spirit of that deal," Trump stressed, according to AFP. On October 15, Trump is due to decide whether Iran has breached the 2015 nuclear agreement. He recently confirmed that Iran is adhering to the nuclear agreement, but he and other officials in the administration stressed that the President still has reservations about the deal. Trump on Thursday refused to say whether he has already made a decision. "You'll see what I'm going to be doing very shortly in October," he said.